Display Your Art in Style! 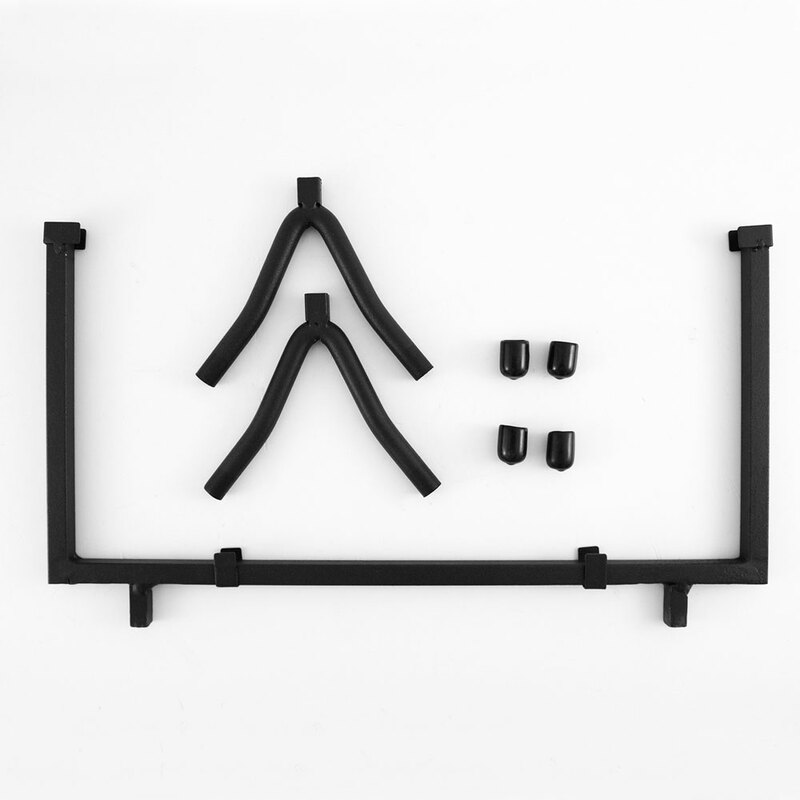 Giving your artwork a stunning presentation has never been easier than using Studio Pro's Black Iron Art Holders. 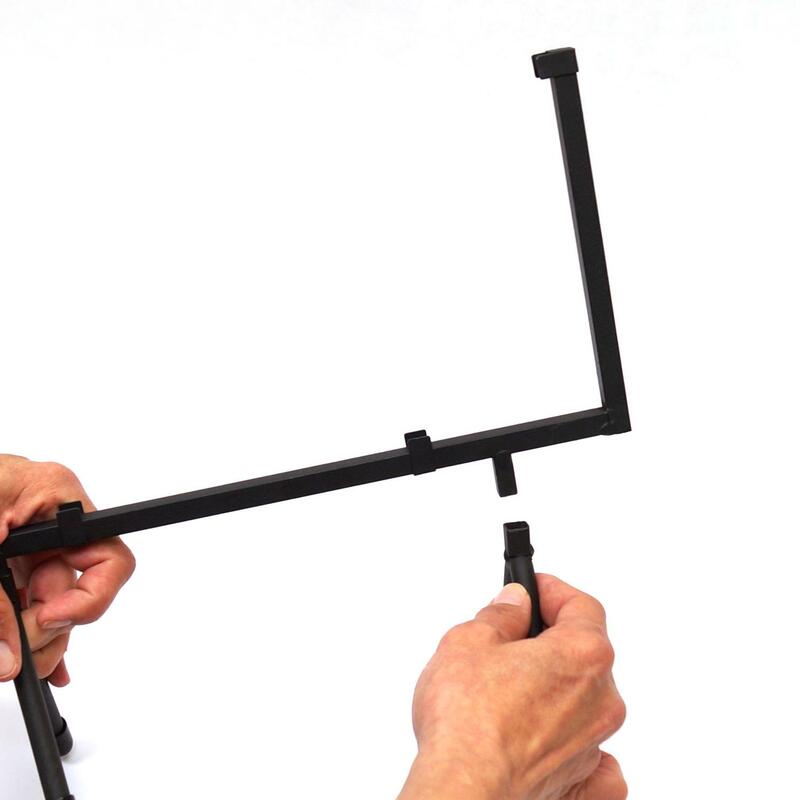 Featuring durable powder coated wrought iron and a convenient knock-down design, these stands are perfect for any artist on the go. 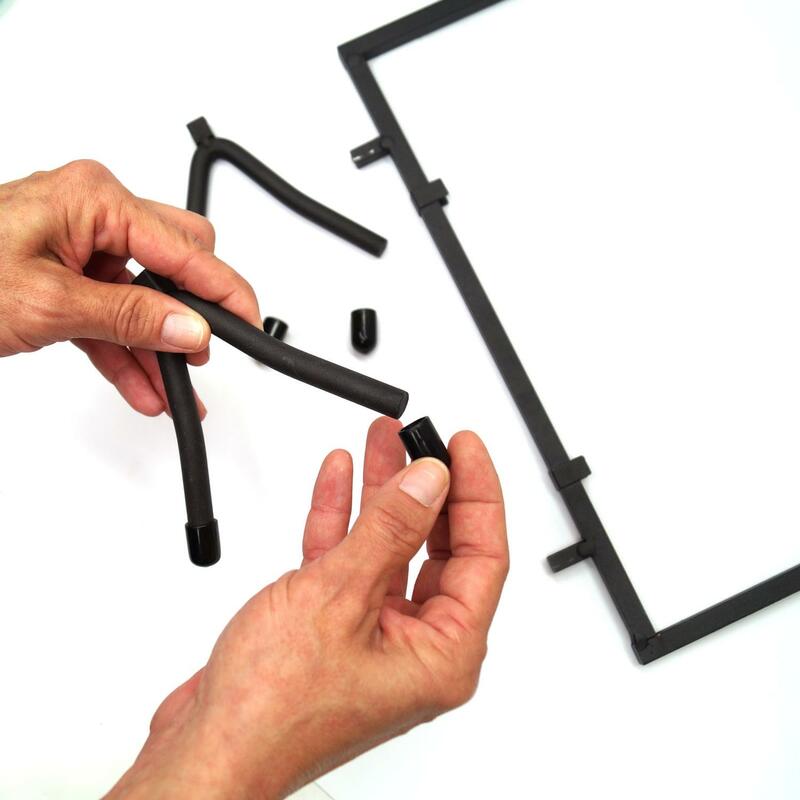 Simply slide the legs into the base, apply the protective rubber feet and you are ready to display your masterpiece. 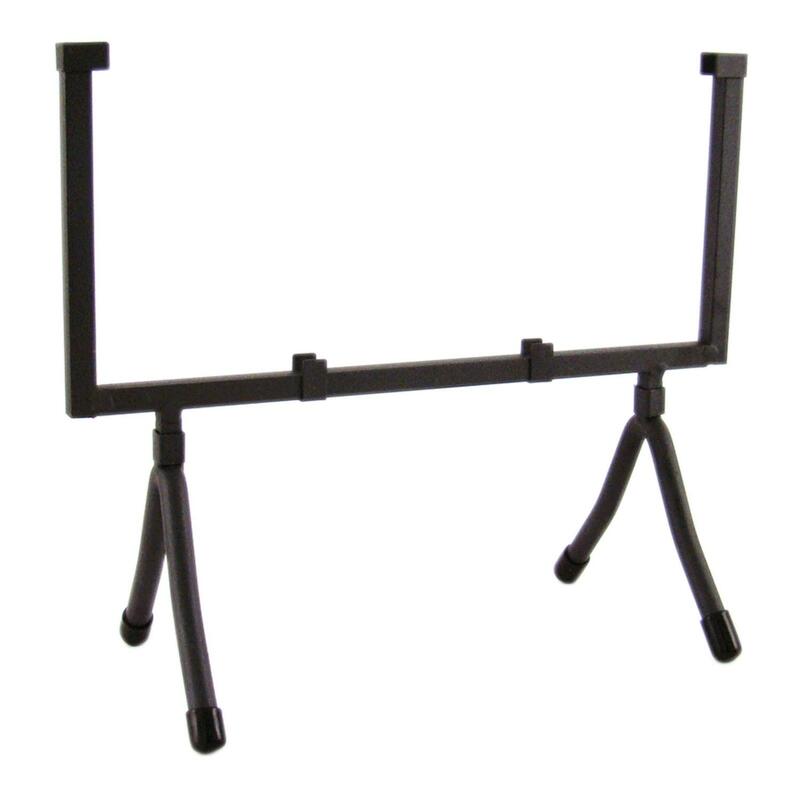 Display stand channel measures approximately 7/16" wide and accommodates a 10" square project. Delphi Tip: For a permanent setting, add drop of E-6000 adhesive before inserting the legs. 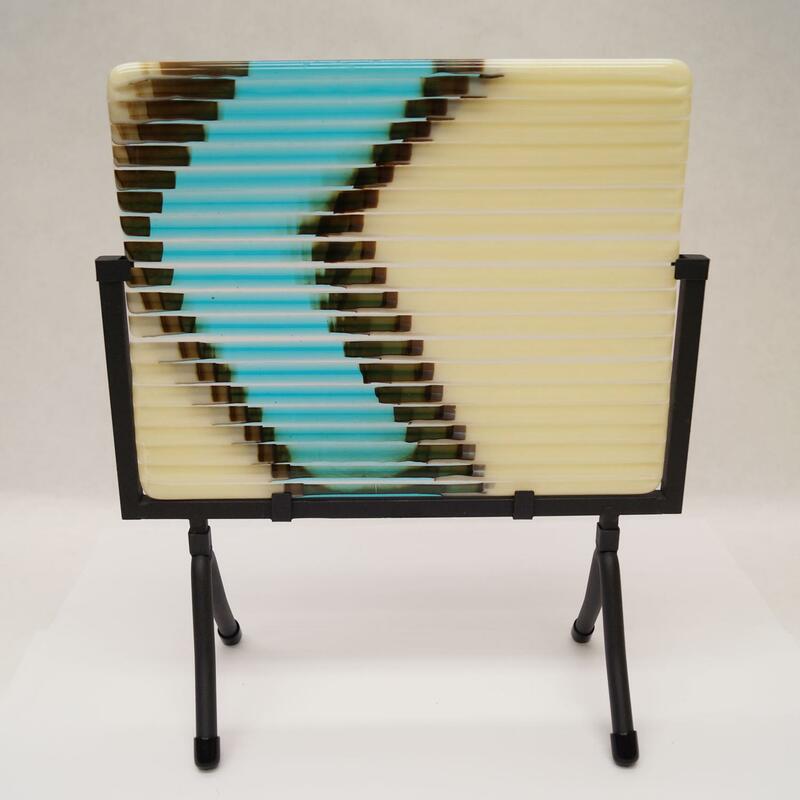 Fused glass panel by artist Roy Kapp. Cons : difficult to bend. I had to put my fish upside down. you have to grind down if it is too large. The students and parents of Mrs. Johnsons first grade elementary class at Westchase elementary in Tampa, FL, recently created glass art mosaic tables to auction off for its annual fundraiser. The students used stained glass chips and venetian glass tiles to create kiwi, watermelon, orange and apple designs onto 19 wrought iron tables. The fruit designs, created by Martin Cheek, were a big hit with the kids and the parents. At the auction, the tables received the highest bids of the evening. Supplies were donated by Diamond Tech and Delphi Glass. See more photos of the students in action here.